Take the perfect spot to rest, relax and read with you when you take along the Coleman Pack-Away Cot. 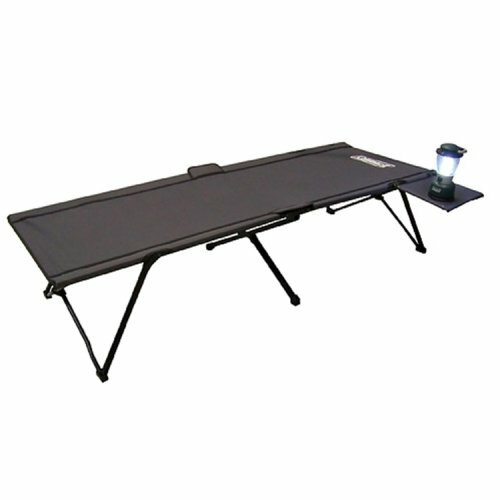 It is more than a place to sleep with the removable side table with a cup holder to easily place your drink, a snack, a magazine or personal items. With an extra-wide design, you’ll have more room to relax. The strong steel frame will make sure you’ll always have a great place to sleep, season after season. When you’re ready to head home, it easily folds up into a carry bag for easy transport and storage.